This is part 4 of a 7-part travel series on Holland, including how to travel to Holland, the Dutch culture, Dutch lifestyle, Dutch environment and essential things to know about the country. This is a continuation of part 3 of the series which is on the Dutch culture. Read the previous part if you haven’t: The Dutch Culture, Part 1. The Dutch have a strong sense of community and togetherness. 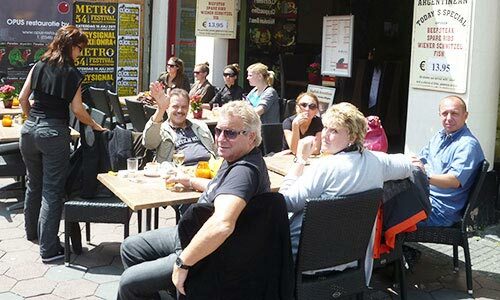 For example, the Dutch spends a lot of time with family and friends. Family outings, like the one I caught below, is very common. 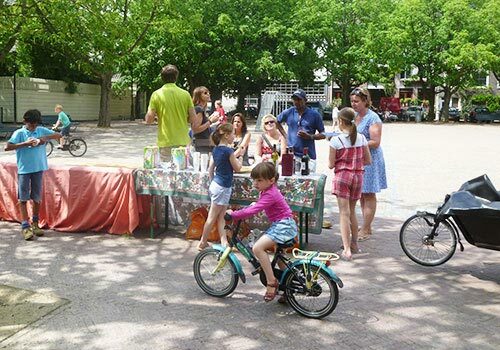 Parents will hang out with other parents over champagne/beer/simple picnic, while their kids will be playing around with their bicycles in the park. In fact, I believe part of Calvinism is to protect the structure of the community. This is why individuals who stand out (ostentatiously) are frowned upon. Quiet ambition is deemed as a good trait, and people in turn use their achievements for the benefit of the community. So what does the Dutch government do with all the extra tax? The government pumps them back to the society, such as subsidizing people’s mortgages, cost of education, providing welfare to elderly, supporting the unemployed, and so on. Hence, the divide between the rich-poor is not as big in Holland, compared to Singapore or America. I can’t say if this is a good or bad thing – it’s up to you to decide. For me, having been brought up in Singapore all my life, I see the merits of having low(er) tax and managing your own finances, vs. having a high tax and have the wealth redistributed to the society, subjected to what the government sees fit. Namely, because such a system is subjected to abuse. For example, one of my Dutch friends was sharing how many of her friends and people she knows have successfully “beat the system”, so to speak. Apparently, one of her friends had been unemployed for 5 years but has been receiving a steady income from the government! I’m sure this is more of an exception than a norm though. At the end of the day, any kind of system will always be subjected to abuse. It’s our onus to be responsible and live in alignment with our higher values of truth, excellence, and integrity. In Holland, the same thing happens. 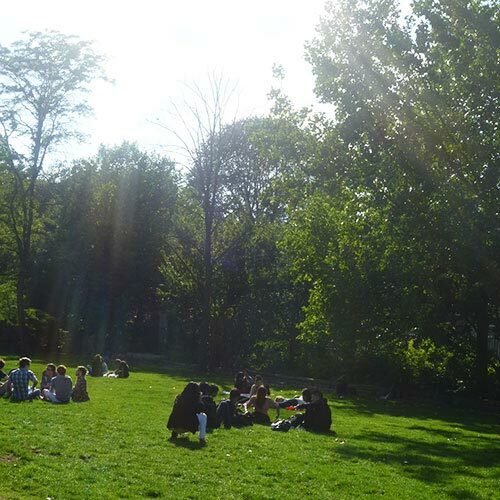 Once children hit 18 (it’s the same age students enter university here), it’s the cue to leave the “nest”. In Asia/Singapore, it’s quite different. We continue to live with our family even way into our adulthood – only moving out when we get married. Some even continue to stay with their family after they’re married, and instead choosing to form a 3-generation (or even 4-generation) family unit. After talking to my Dutch friends, I found out they move out not because they don’t care about their parents, but because it’s to help them gain independence. Many of them continue to remain in touch with their parents after that, continuing to meet once a month or every few months. Before I came to Holland, I was been “warned” about how direct the Dutch can be. Supposedly the Dutch are very straightforward and say whatever they think, with no consideration about how the other party is feeling. This is not because they’re trying to rude, but simply because they are forthright with their communication. Dutch manners are frank and can be described as a no-nonsense attitude, informality combined with adherence to basic etiquette. This might be perceived as impersonal by some other cultures but is the norm in Dutch culture. To be perfectly honest (no pun intended), I didn’t find this to be true! Yes in the business/work context, but not in the personal context. And I’ve been connecting with quite a few Dutch people from different age groups and walks of life. I also suspect that perhaps the older generation is more direct in personal communication, but the modernized generations (Gen X, Gen Y) aren’t so. I also found Germans are a lot more “no-nonsense” and direct than the Dutch (at least from the Germans I’ve come across in Holland). One of my Dutch friends joked that once, a friend of his shook hands with Rinnooy, and he didn’t wash hands for 6 days after that. Another Dutch friend spoke 1-1 to Rinnooy for the first time during a meeting, and everyone began to approach him after that and congratulate him about the “feat” / “achievement”! The first is quite an extreme example – I’m just sharing this so you get Rinnoy Kan’s perceived status among the Dutch people. So during the meeting, Rinnooy was expressing an opinion on a topic, and many of the members/participants openly shared their views. People were also not afraid to disagree and dispute his points too! And none of this was seen as inappropriate nor rude. This was quite interesting because I would never imagine this happening if it’s a meeting with LKY or anyone in a senior position in Singapore. The person would be seen as being defiant and disrespectful. However in Holland, it’s different – she found out that not speaking up is bad – you’re deemed as not having an opinion, and hence not having anything to contribute to the team. Everyone is expected to share their views during a meeting. So this was something she had to adjust to. I’ve been told by non-Dutch people living in Holland that the Dutch are private people. While they are friendly and open to befriending new people, they tend to hang within their existing network of family and friends. Their social circles are very much established and locked in, with their friends being people they knew from since high school or university. Usually they’re already occupied with X activity with friends or Y activity with family during weekday nights / weekends. Hence, the non-Dutch tend to find it challenging to enter the inner circle of a Dutch. I don’t think the Dutch intentionally exclude non-Dutch from their lives, just that there is no space for new people to enter. Of course, I’m sure not knowing the Dutch language also creates an additional (invisible) barrier between non-Dutch and the Dutch. This is actually quite similar for foreigners trying to integrate with the Singapore/Asian society though, I believe. People tend to hang within their “cliques”, and very few venture outside their social circle. Friends are usually from school or the workplace, usually former than latter. My close circle of friends are mostly people I knew earlier in my life – it’s nice when we have a common history/past we can relate to in our conversations. But I can imagine it’s very different in America, where everyone is so open and friendly. The dominant language is English, so there’s no language barrier. Also, there are people of all colors/races in America, so people are more accepting (beyond tolerant) of diversity in race/culture than in countries with one/a few dominant culture(s). For myself, I haven’t had any problems with making Dutch friends. Last week I made a new Dutch friend during my speaking engagement, and he later took time out the following week to show me around Utrecht, where he lives. I also got to spend time with him and his girlfriend at their house. A few days ago, I made a new Dutch friend (a third-degree connection via a friend), and tomorrow I’ll be going to her home for a cookout with her, her boyfriend and her cat. I think having an open attitude about the Dutch culture, and a desire and sincerity to assimilate into it definitely helps. As the saying goes, “When in Rome, do as the Romans do”. Don’t see the Dutch culture as something “separate”; See it as “your” culture and something you truly want to embrace. When I hear from people who complain about the difficulty to break into the Dutch circle, most of the times it’s because they’ve already segmentized the Dutch into a category of people, and them as an alien/foreigner trying to break into it. Unfortunately, this naturally creates subconscious barriers between them. 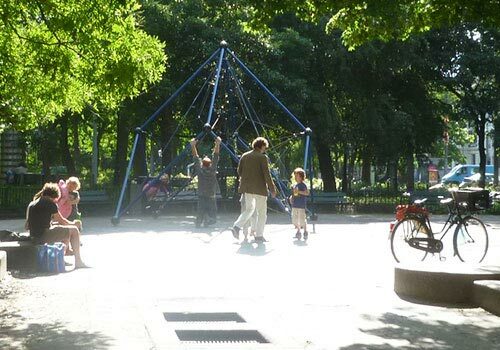 As far as receptivity toward strangers goes, the Dutch are quite open and friendly. For example, there have been many times where the Dutch would go out of the way to help me while I was looking for directions. One time a Dutch lady logged onto the GPS on her mobile phone so she could give me directions on how to get to my destination. Another time, a Dutch guy walked with me all the way to my meeting spot (which was some 15-minute walk away from where I first ran with him; plus he was lugging a heavy luggage of his own as he was traveling from another city in Holland). I also met a few new Dutch friends during a house party, and all of them were very friendly as well. There also have been many times when I’d pass by a stranger who would suddenly smile and say “Ni Hao!” (Hello in Chinese) or “How are you?”. This was so whether for the Dutch or the Moroccans. I suppose it’s because I stand out as an Asian and there are few Asians here if any, so it’s exciting whenever they see an Asian. Either way, they’re quite open and friendly. One thing that’s a stark contrast with Singapore is the way of life. In Singapore, career and financial success/stability are typically everyone’s top priority. Hence, people tend to spend long hours every day working. Working beyond 6 pm and on the weekends is very common. People who always leave work right at 6 pm (or before) can potentially be seen as being lazy or not serious about their work. 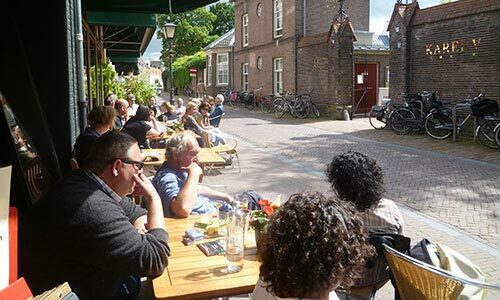 However in Holland (and I believe in some other EU countries), the Dutch place a high emphasis on an all-rounded life that includes family/friends, work, and enjoyment. For example, it’s not legally allowed to have 24-hour stores. Stores are only allowed to stay open until 10 pm; even then most close before that (to do so, you need to get special permission/license). Reason being night/early morning times are when people get to rest/spend time with their family. So most cafes open till 7-8pm every day, with restaurants closing 1-2 hours later. Same for the supermarket. So you usually see people rushing into the supermarket after work to grab their groceries!! Whereas in Singapore, shops/stores open till 9:30-10pm, with some stretching as late as 11 pm to midnight. 24-hour cafes, hawker centers and convenience stores (7-11) are very common!! 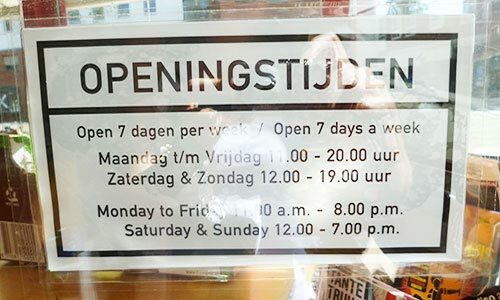 Opening hours in a cafe in Amsterdam. Opening hours tend to be shorter on weekends, so people get to spend time with their friends/family. There are upsides/downsides to each situation. The upside is that everyone is relaxed and happy here, unlike in Singapore/Hong Kong where people tend to be more tense and uptight. However, the downside (subjective, of course) is people seem to lack a sense of urgency. For example in the different cafes I’ve been to, my orders take a longer time to be served than in Singapore (anywhere from 10-30 minutes, or more). There was one time when my order took 40 minutes, and when I checked with the waitress, I found out they had forgotten about my order (?!?) when I already paid for it! Coming from a society where speed is of the essence, it certainly takes some getting used to. The government is also very protective of people here – besides the welfare system, there are regulations that protect dutch employees too, to the extent where they sometimes have more power than their employers. My Dutch friend told me an employee can only get fired if he/she consents to it. She told me about how her employer has been trying to fire her from the company for 2 months but has not been able to do so because she refuses to sign the letter of dismissal! I thought that was quite amusing, especially if you put it in Singapore/Asian context! In Singapore, employers basically have full reign over the employees’ career success. If an employee is ever deemed unsuitable, he/she will be fired right away (consent isn’t needed – that’s why it’s called firing I suppose?!). One thing worth mentioning in Holland is the culture of “Gezellig”. Gezellig (pronounced as gher-zai-leghkk – the Dutch stress on their ‘g’s very strongly 😉 ), means “sociable” in Dutch. They make a point to create an atmosphere of relaxation, sociability, and wellness (i.e. Gezellig) in their day-to-day life. For example, typical Dutch houses do not have ceiling lights. Instead, they have lamps – bedside lamps, reading lamps, and so on. Also, their lights are of yellow light – not white light. Reason being ceiling and white lights create an intrusive atmosphere, whereas the lamps and yellow lights create an intimate space for self-reflection and or social interactions. At my friend’s home in Utrecht. This is the living room – Notice there’s a big lamp in the center. 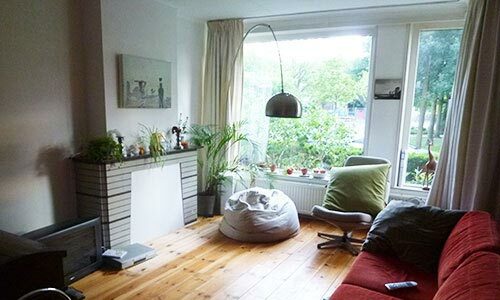 There are no ceiling lamps (+ white lights) in typical Dutch homes, unlike in Singapore. In restaurants, my Dutch friends told me that it’s expected that food gets served slowly! (Hence my observation above on long wait times for food). Because the Dutch want to use meal times to catch up with their companions. Serving the food is considered bad restaurant service because it means breaking the opportunity and space for them to interact with their friends, and this makes them unhappy. 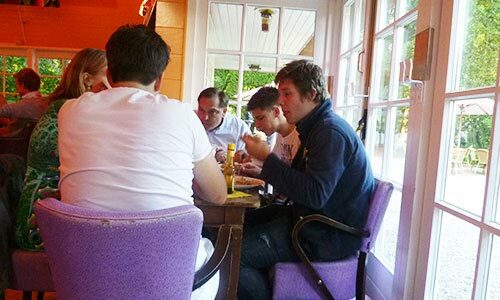 Ideally, they want to spend a long amount of time at the restaurant. It’s also expected that they have desserts at the same place as their dinners too. At Theehuis Rhijnauwen, a famous pancake restaurant in Bunnik, Utrecht. 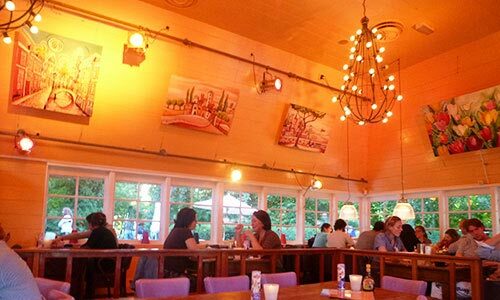 Check out the “Gezellig” atmosphere that has been created here. Interestingly, in Singapore where it’s about efficiency and speed, food is expected to serve immediately/almost immediately, and people usually switch to a different place to have desserts after their meals. Restaurant owners also typically don’t like it when people linger after their meals, as it means they’re hogging the space for patrons who are waiting. The Dutch are very organized and scheduled. This behavior takes its roots from the nature of the country – the Netherlands, being a smaller country in Europe, has limited resources. Hence, it’s important to prioritize its needs and plan out its resources. It’s just like Singapore and Hong Kong. This structure can be seen in their social life, to how they work, to tram schedules, to train schedules. Socially, I’ve heard it’s hard to arrange for a spontaneous meet-up with them. They usually have the next 4-6 weeks of their weekday night/weekend activities mapped out, so to arrange a social outing with them would require some advanced booking! I suppose this also depends on how close one is to the individual too – if there is a certain closeness, such early arrangement probably wouldn’t be needed to meet up. 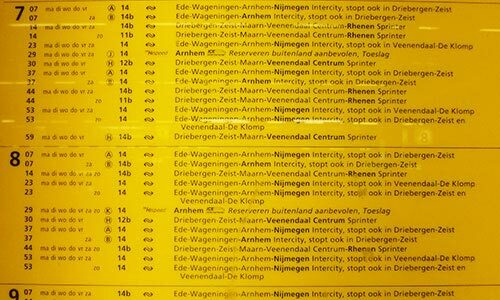 They have complete schedules on tram/train timings, right down to the specific hour and minute! Check that out below! Even the buses/trains in Singapore don’t operate on such precise schedules – but then again, the frequency of buses/trains is a lot higher in Singapore too. 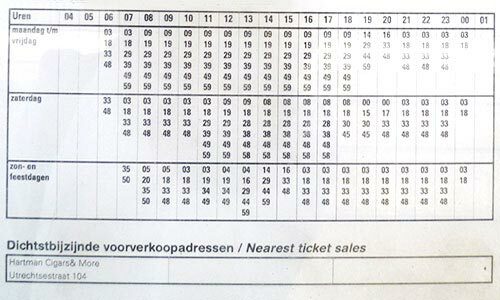 Example of the tram schedule. The tram arrival times are laid out right to the hour and minute! This is the intercity train schedule. 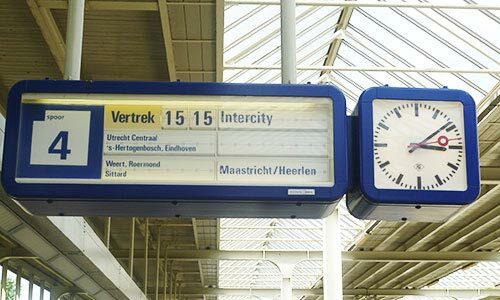 Likewise – arrival times of all the trains every day are transparently listed! At the platform, it shows the exact time of the next train, along with its next destination and final destination. Overall, I really appreciate the Dutch culture and can easily identify with it. While critics tend to see the Dutch as direct, rude, miserly, unfriendly, rigid, what I see is are endearing, humble, quiet, thrifty, dependable, loyal, hardworking, value-driven people. There are more similarities than differences with Asian values in my opinion; in fact, I see Holland as a cross between American and Asian culture, but closer to the latter.